Great posting! 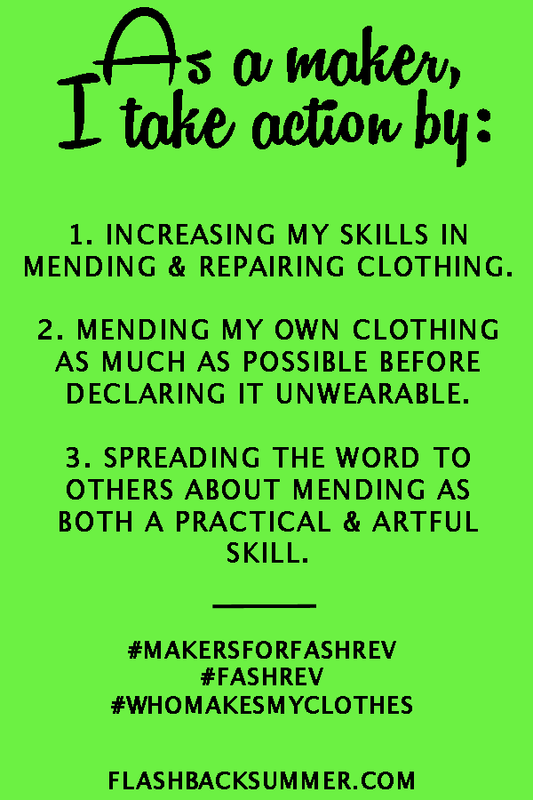 Mending is very important to me because I make all of my clothing. For all the heart, soul and effort I put into my togs...they're gettin' mended! I never can wait patiently for your next post! 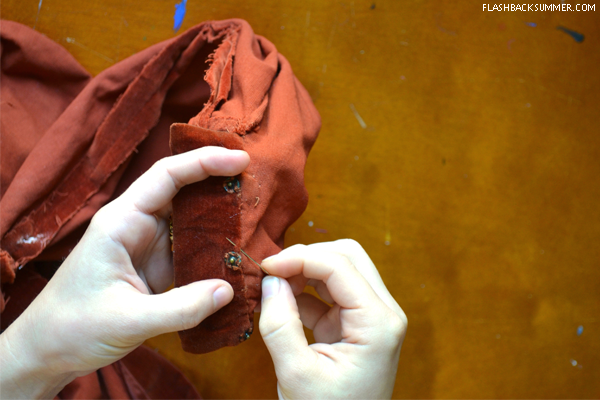 So here's my thing about mending: if I can't make it invisible, I really have a hard time making myself wear it with a visible mend. I mend my kids clothes, my husband's clothes, darn my stockings, (either with a proper darning stitch or with zig-zag on the machine, depending on how lazy I feel), wear shoes until they fall apart, so I know how, but there are certain types of mends that are really difficult to do these days and not have it visible (torn holes in clothing being one). I find that t-shirt material has gotten so cheap and thin in almost every retailer (from "heritage" brands down to the fast fashion ones) that it is hard to mend the holes that appear almost from the start. I try to buy t-shirts and other knits second hand as older versions seem to hold up better. I've just noticed there are some fabric recycling places starting to pop up around me, where you send your worn out stuff and they weigh it and you can get paid by the pound. 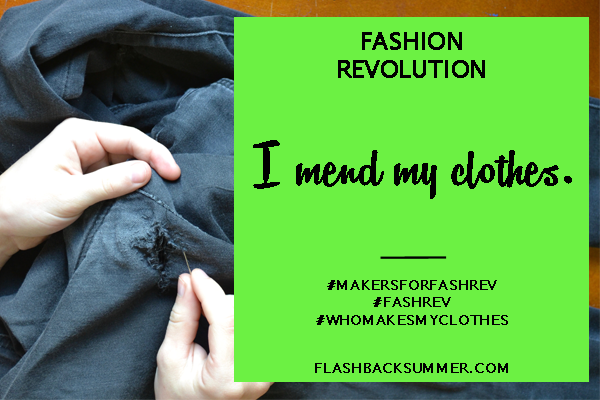 I understand H&M has also started a textile recycling program, which helps me feel better about throwing out my boys' pants when I can't mend the knees any more and they really don't need another pair of shorts made from them. It is a hard thing, figuring out how to be responsible with textiles, wherever you enter the stream. I'm finding this series quite interesting--thanks for sharing your thoughts!! That's very true, I have trouble sometimes when the mend can't be invisible. I don't really go for the patchy, hobo look (although some people rock it), so I like things more subtle when I'm mending. But you're right, there are lots of other ways to reuse the clothes! I've made pillows out of old t-shirts, used old clothes to make quilts, potholders, all sorts of things! 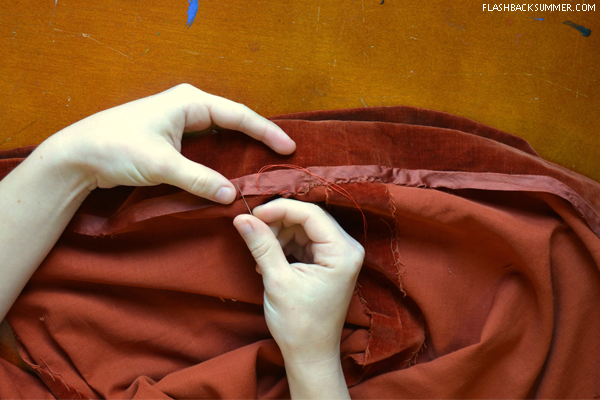 Even "icky", cheap fabric often gets turned into a muslin test run for some other garment. Yes! It's a very real, necessary skill when wearing vintage. Like... learn or be embarrassed, haha!